Pokémon fans, get ready for a first glimpse at a new ‘mon! The Japanese morning show, Oha Suta, will be airing a new trailer for the upcoming feature Pokémon the Movie: Everyone’s Story on April 9th, and has confirmed that it will feature a brand new Pokémon. Fans familiar with the information harvested from the data mining of the Pokémon Ultra Sun and Ultra Moon games are eagerly anticipating the official unveiling of this Pokémon, (don’t worry, we won’t spoil!) and are hoping for a distribution event which will allow them to get their hands on this elusive new monster. Everyone’s Story is the sequel to Pokémon the Movie: I Choose You, which rebooted the story of Ash and Pikachu’s first adventures together. While I Choose You was a loose retelling of the first season of the Pokémon cartoon, known as Pokémon Indigo League, it features Pokémon from all seven generations, including the recently added and elusive legendary Pokémon, Marshadow. This origin story reboot has fueled both rumors and hopes that the next Pokémon game will feature a region-inclusive remake of the Kanto region games, which include the Pokémon Red, Blue, Green, and Yellow titles. Pokémon the Movie: Everyone’s Story will be premiering in Japanese theaters on July 13, 2018, an international release has not yet been announced. 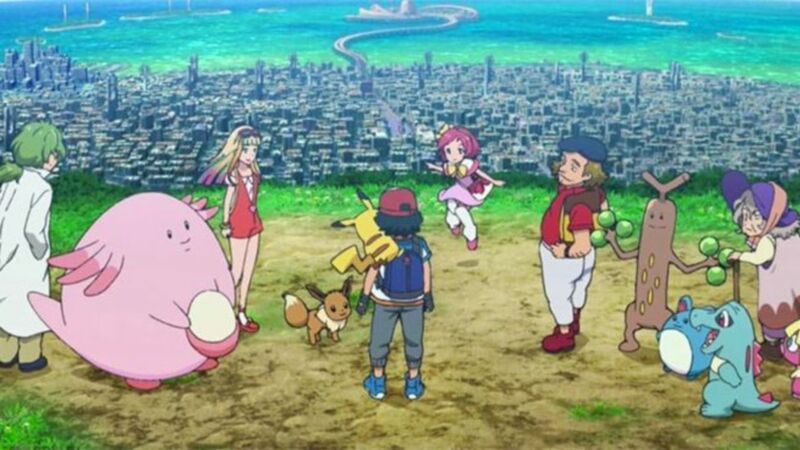 The movie will prominently feature Lugia, and loosely retells the story of the second season of the Pokémon anime, as well as the events of Pokémon The Movie: 2000. Check out the trailer below, and be sure to check back on April 9th for more news about the movie as well as the newest addition to the Pokédex!